Aquarium Maintenance and Fish Tank Cleaning from Seefish, Devon. Aquarium Maintenance and Fish Tank Cleaning from Seefish, Devon. Seefish specialises in the design, installation, maintenance and rental of Freshwater aquariums throughout the South West of England. We can provide practically any aquarium you can imagine, purchasing or renting directly from us, or we can provide a monthly maintenance service on an existing aquarium. Our maintenance services are flexible and able to work around almost anyone’s schedule, and we are always on hand to give advice or deal with any emergency that may arise. Seefish has been established since 1988, but Seefish owner Bruce Smith has over 25 years of experience when it comes to aquariums and fish care. Seefish currently holds over 80 permanent maintenance contracts across the South West, with residential, corporate and private clients, from offices to showrooms, doctors surgeries to private homes. 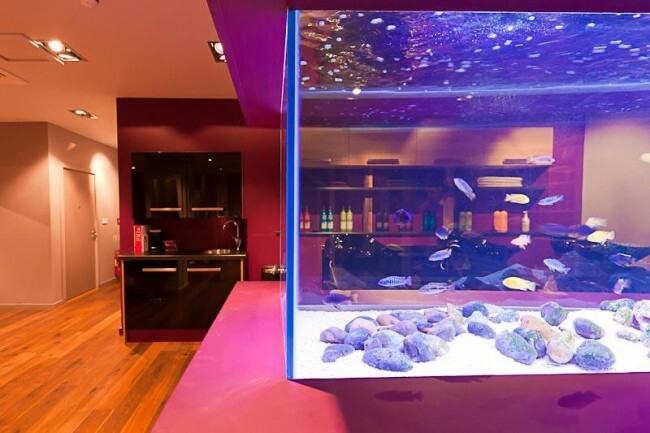 Our complete aquarium solutions allow anyone, regardless of experience to keep fish. We provide a complete service for your aquarium. There are so many things to consider when keeping fish, plus the routine maintenance that needs to be done. From filters, pumps, water heating, etc., it can take up a lot of your time. Seefish offer a complete service that will design, install and maintain your fish tank, we even supply you with food for your fish! And that’s all there is to it. Simply feed your fish day to day and Seefish will do the rest for you, it really is fish keeping without the work, and at the end of the day, you will have an aquarium second to none.